Writing for a DCC module to be run at GenCon 50 in August. “Qnight’s Haunted Quest” is a home-brew based on the original D&D Red Box adventure. I started playing RPGs in my fifties. I was in drama club in high school and loved it. I have, for years, wanted to try my hand at writing a book. In 2012, I found NaNoWriMo (National Novel Writing Month) which is November. I wrote over 50,000-word novelette in 25 days. “The Pretzel Twist” has yet to edit. As I look back on that, I see that within that mystery story, I am ripe to be a DM with a story to guide adventurers through. So, with that, I move on to developing “Qnight’s Haunted Quest” for GenCon this year. Goodman Games has Dungeon Crawl Classics (DCC) RPG. DCC RPG takes you back to gaming as Gary Gygax wanted us to play D&D but with the D20 system that has developed over the years. Gary Gygax took math to the limits of the 12 yr old and some beyond. DCC RPG brings the math to a simpler level and lets us do more role-playing. But you can’t leave the older D&D Gary Gygax & Dave Arneson modules behind! A few years ago I purchased a used original Dungeons and Dragons Red Box set off of eBay. The box was pretty well worn, but the contents are pristine. 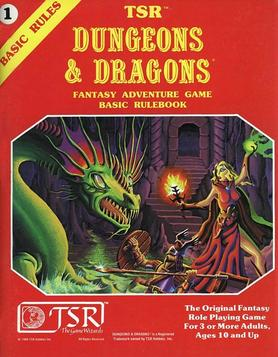 Having started my RPG gaming with D&D 3.5 and my curiosity for how the game began, I wanted to “test drive” the original D&D. Wow, did I get bogged down! It was through the local bookstore and their Thursday evening game nights that I was introduced to DCC RPG. Initially, I disliked it as all of our 0-level characters were destroyed. (I have a soft heart for having, at least, one PC make it through to the end alive. It was several months before I agreed to play it again. The DCC RPG judge (DM, GM) was in at the store wanting to try it again. We had a discussion regarding how the first game session went. He was very open to hearing my thoughts, so I was open again to try out role-playing this interesting RPG that starts out with 0-level PCs. To my amusement, I had a blast. 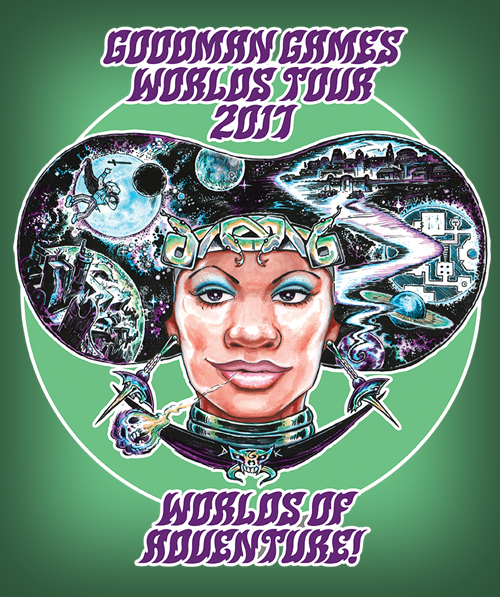 Now I’m a judge for DCC RPG’s Worlds Tour 2017. Want to play like it is 1971? You have got it in Goodman Games Dungeon Crawl Classics! Want to learn more about DCC RPG? Well, there are podcasts and websites. Join Google Plus or G+ and look up DCC RPG. Or maybe you will be at GenCon this year in Indianapolis, IN. Look me up. I’ll be wearing “Judge Joan of Arc” name tag. Come to my sessions late Friday and Saturday to play “Qnight’s Haunted Quest”. But be prepared, you will need more than your pitchfork, dagger, shovel, and sling to get you through this adventure. Author joanAnewbeginningblogPosted on July 27, 2017 June 19, 2018 Categories UncategorizedLeave a comment on Writing for a DCC module to be run at GenCon 50 in August.